Discover how Cryptshare makes your e-mail communication better. In today’s business world, fast and reliable electronic communications are key for success. Messages and files need to be exchanged with contacts around the globe at the speed of light. 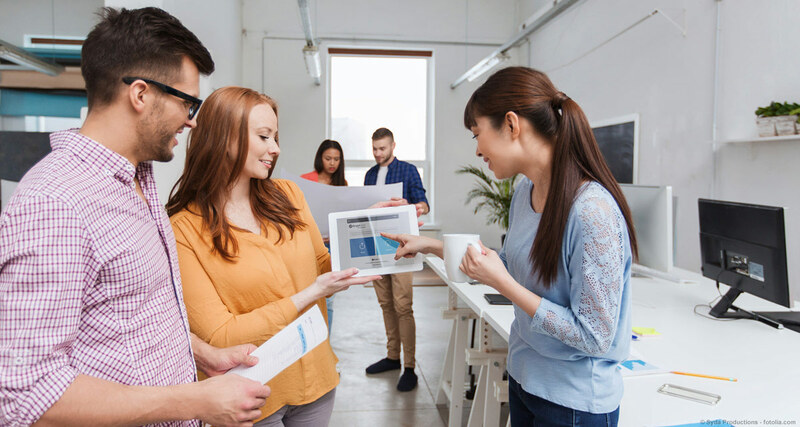 For many years, email was the primary solution to achieve fast and reliable communication, but our needs now go beyond the capabilities of the established email we have come to use daily and rely heavily on. 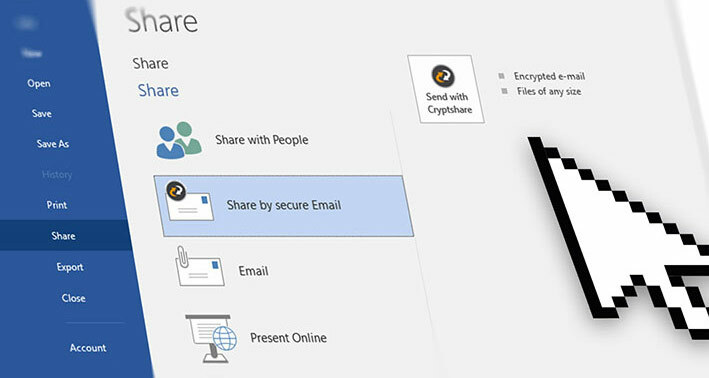 Use Cryptshare to send and receive emails and large files securely. Compared to available technologies, e.g. 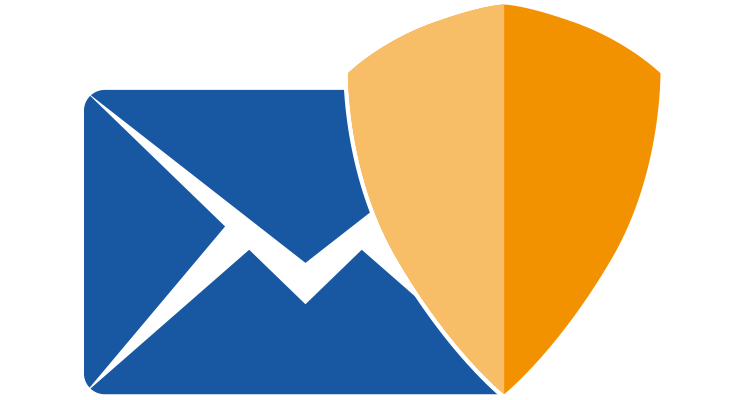 S/MIME and PGP, Cryptshare also offers the benefit of encrypting metadata such as the email subject. With Cryptshare, sharing large files is no longer a challenge. The restraints of SMTP are a thing of the past. 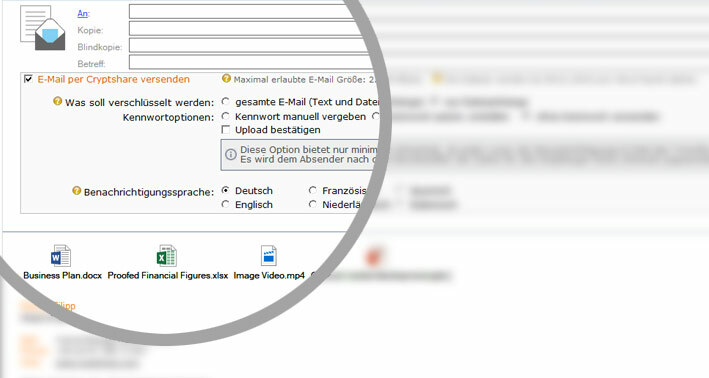 File size restrictions are removed in popular email clients, limits can be set by the administrator. 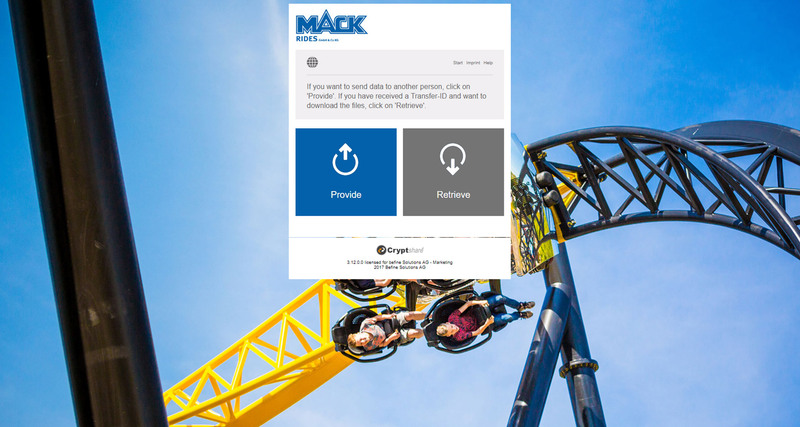 Ad-hoc usability, making it easy for both internal and external communication. With Cryptshare no more a challenge, but a breeze. The overview of which files were sent to which recipients and when they were downloaded by which recipient. Full transparency through reporting and evaluation options. Through seamless integration into familiar user environments. 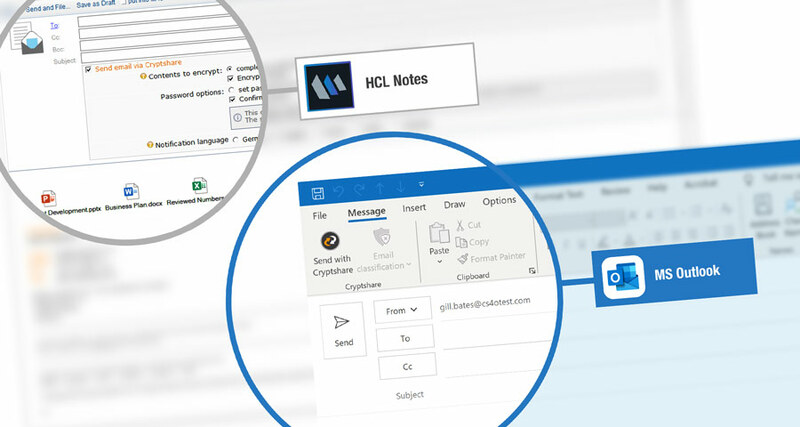 Exchange confidential messages and large files with Cryptshare for Office 365 & Outlook / Cryptshare for Notes. Integration within Office and Windows enviroments. Safe and efficient Cryptshare shortcuts to allow seamless intergration within office applications, as well as Windows explorer dialog options. 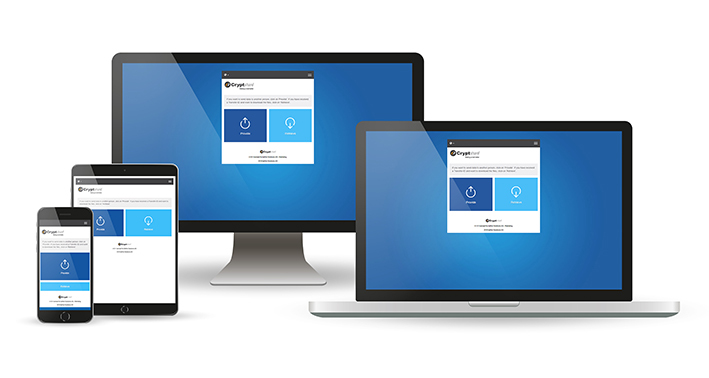 The Cryptshare web application, a fully responsive Web portal, useable on all Devices and platforms. Classifying data is an important compliance standard required by the GDPR. 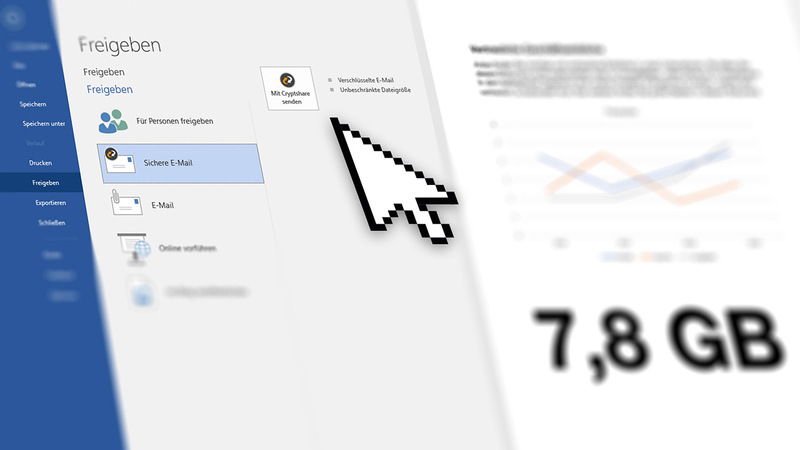 Our Data Classification creates an easy tool set for users, promoting awareness of email security and ensuring lasting protection against compliancy penalties. Legal or industry-specific regulations require the archiving of data. 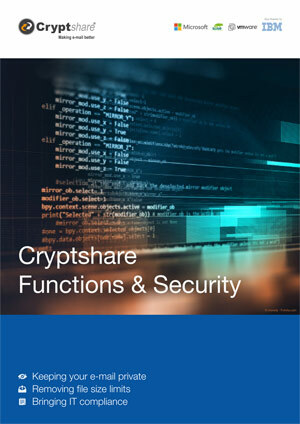 Cryptshare has been designed to be integrated into archiving and document management systems. 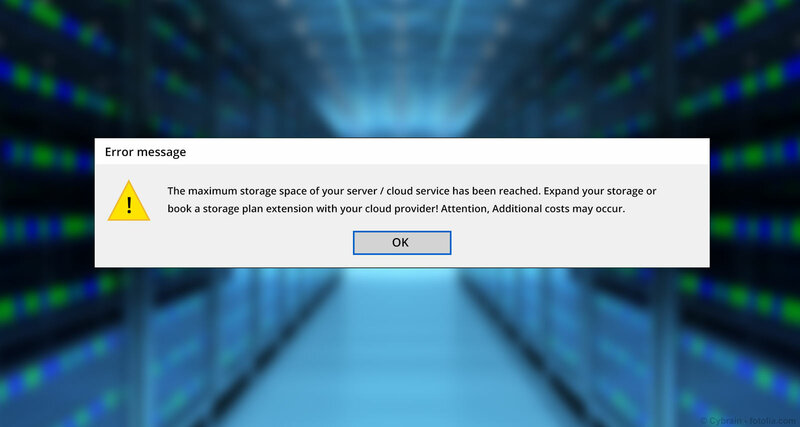 Many other encryption solutions fail on this requirement. Any corporate communications can be digitized and automated using Cryptshare technology. Cryptshare Automation via the API , We can clearly show that the investment pays off very quickly (ROI). The Cryptshare Service Promise does not end with the purchase of a Cryptshare license. Installation, Customization and daily operations of Cryptshare. 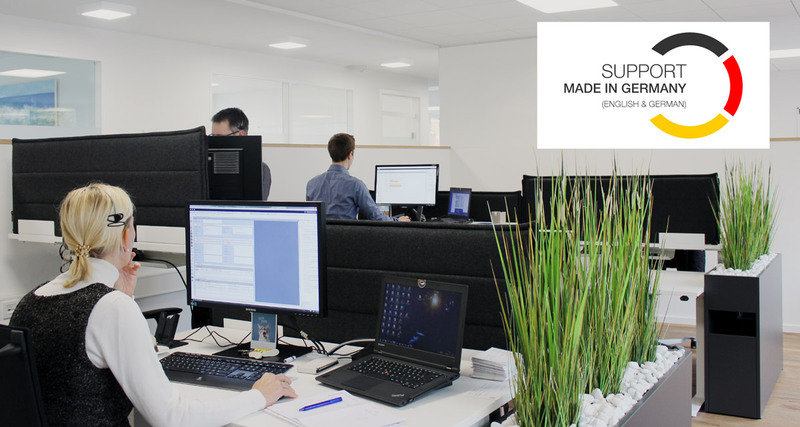 Our professional Support team based in Germany offers assistance every step of the way. It doesn’t end with technical support. 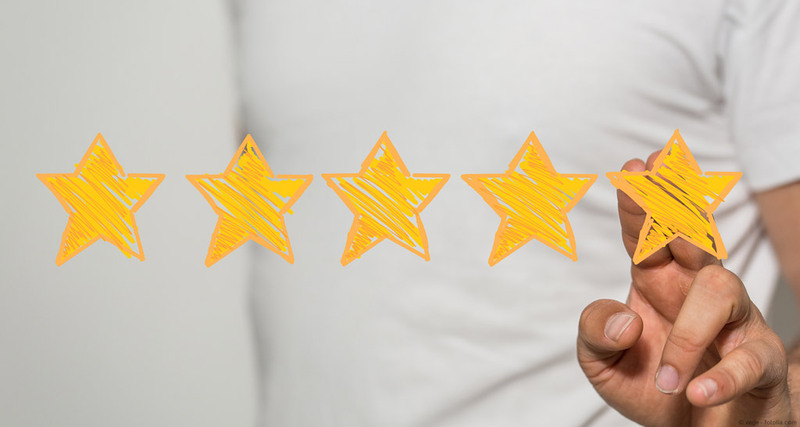 The Customer Care Team is there to listen to your requirements and to ensure your Cryptshare experience is as it should be. Special attention is paid to the support of successful Cryptshare introduction in your company. 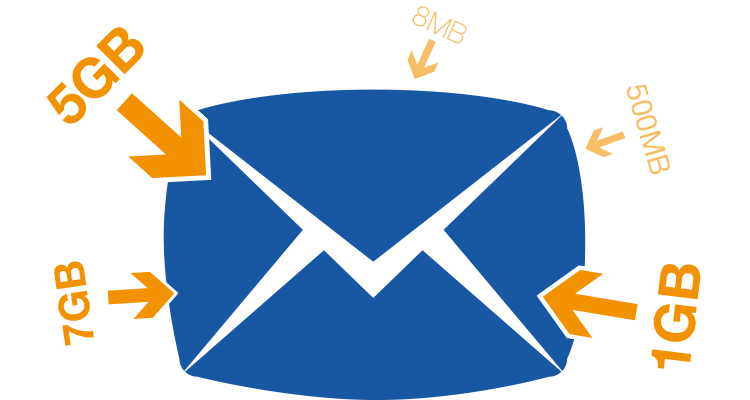 Employee’s often need to send large attachments, larger than what regular email can cope with. Do you know what systems they are using to achieve this? 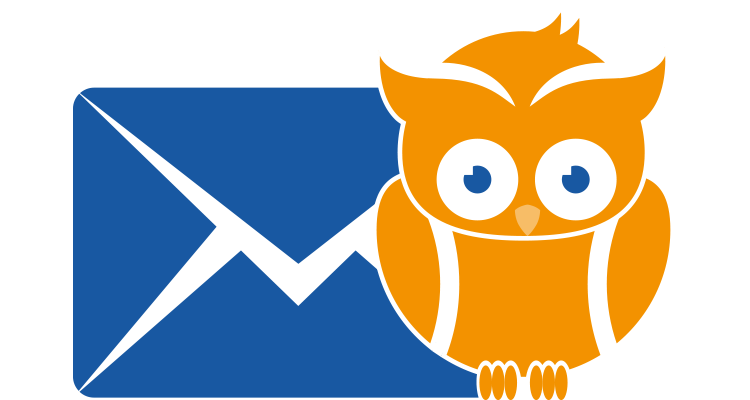 Cryptshare enables you to keep track of emails being sent out, Giving you your security back. Don’t fall into the trap of un-planned costs. Server Resources, Space requirements, Memory upgrades. 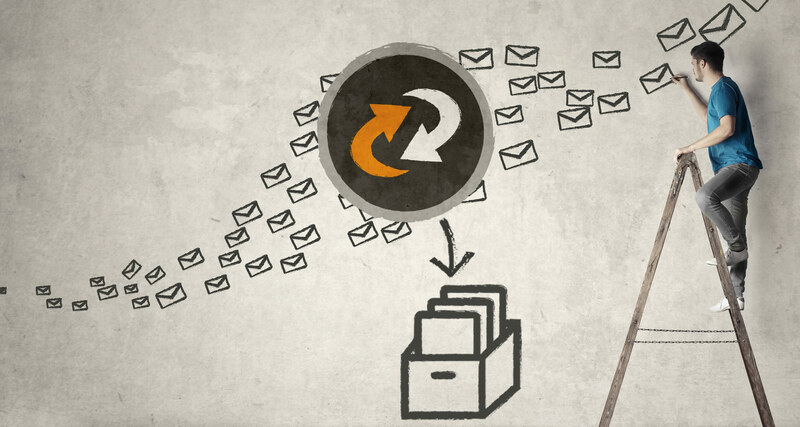 Email attachments can be extracted from the emails, archived and sent securely via the Cryptshare server. 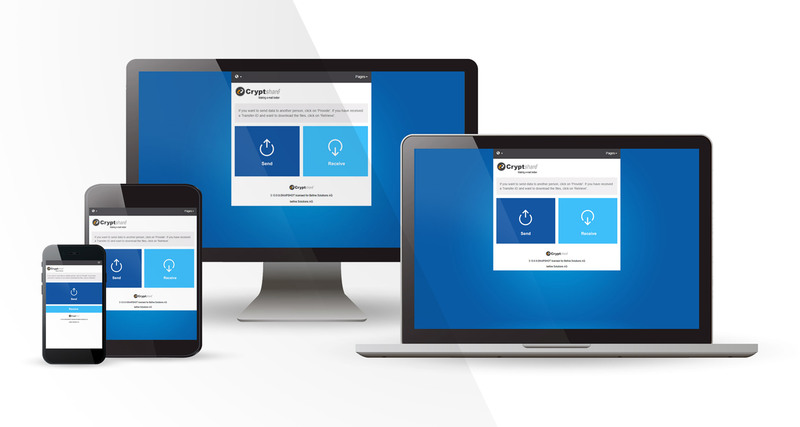 Incorporating bespoke, corporate branding into your Cryptshare web application, increasing trust and user acceptance. 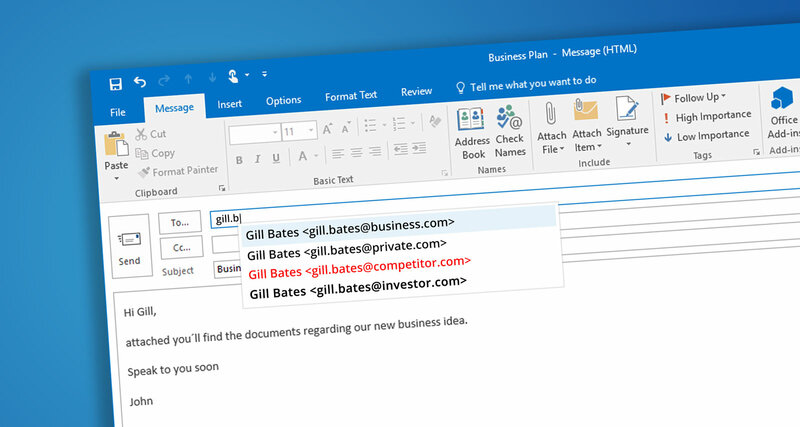 People knowing who you are, and that you take email security seriously. 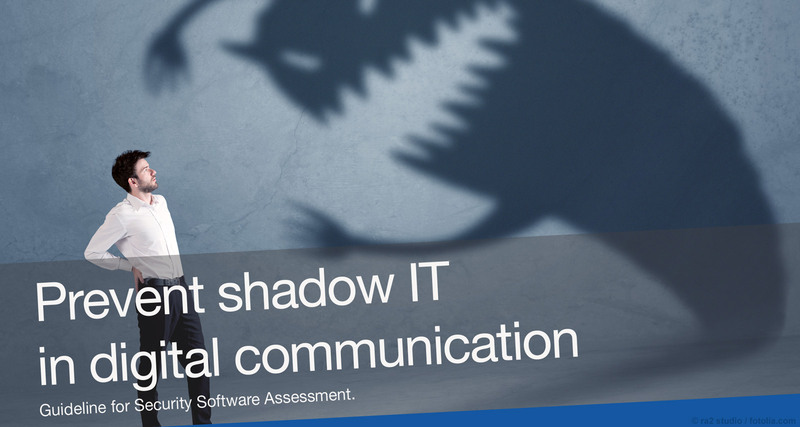 41% of data leakage is caused by sending an email to the wrong email address. Ensure this doesn’t happen, set a password using Cryptshare. If you think the password is compromised, recall the confidential file from the Cryptshare server, putting you in complete control.